CAII Board President Brian Sealey, Executive Director Alan Abramowitz and Circuit Director Deborah Moore during the awards ceremony at Guardian ad Litem Appreciation Day on June 15, 2013 in Tallahassee, Florida. | Flickr - Photo Sharing! 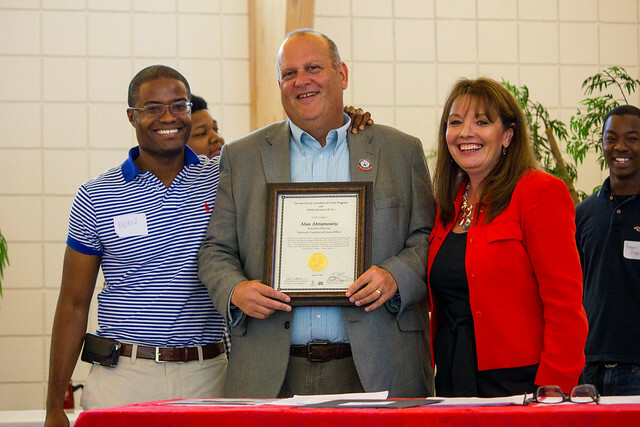 CAII Board President Brian Sealey, Executive Director Alan Abramowitz and Circuit Director Deborah Moore during the awards ceremony at Guardian ad Litem Appreciation Day on June 15, 2013 in Tallahassee, Florida.